🏙️ D.C. readers: You're invited! Tomorrow at 8 a.m.: Innovation in American cities ... Axios' Kim Hart talks with Senate Republican Whip John Thune, Rep. Yvette Clarke (D-N.Y.), Consumer Technology Association CEO Gary Shapiro and Chattanooga Mayor Andy Berke. RSVP here. Democrats' shift to the left with big ideas like Medicare for All, along with the rise of progressives led by Rep. Alexandria Ocasio-Cortez, is changing the balance of power in the party’s unofficial policy establishment, Axios' Sam Baker and Ben Geman report. What's new: A new set of liberal policy players is gaining stature just as Democrats take over the House and wade into a policy-heavy 2020 primary. Why it matters: Think tanks, policy analysts and advocacy groups help shape the party’s platforms and channel the base’s enthusiasm. 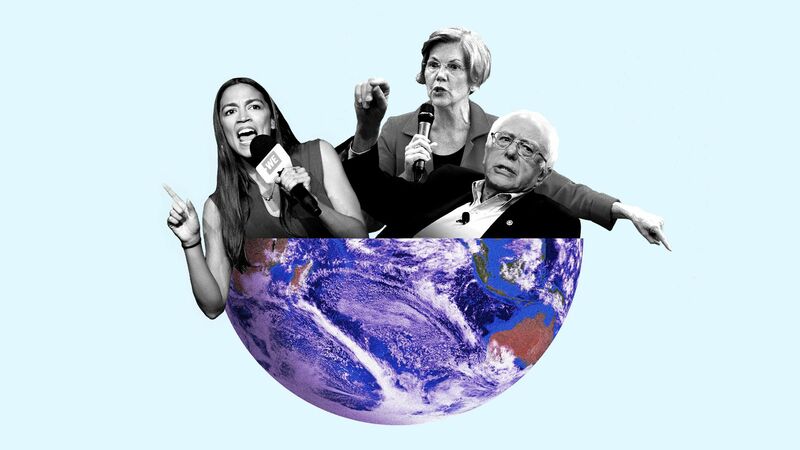 The universe of new or newly prominent progressive groups includes Data for Progress and New Consensus, which both worked with the Sunrise Movement, a group that's providing a lot of the advocacy muscle behind the Green New Deal. Data for Progress cofounder Sean McElwee helped popularize the hashtag #AbolishICE — which gained steam on the left and became part of Ocasio-Cortez’s platform, then won its first endorsement from Sen. Kirsten Gillibrand of New York, a 2020 candidate. The Green New Deal is well on its way into the Democratic mainstream, thanks largely to mutually reinforcing outside legwork, and Ocasio-Cortez's nearly unrivaled ability to drive political conversation. 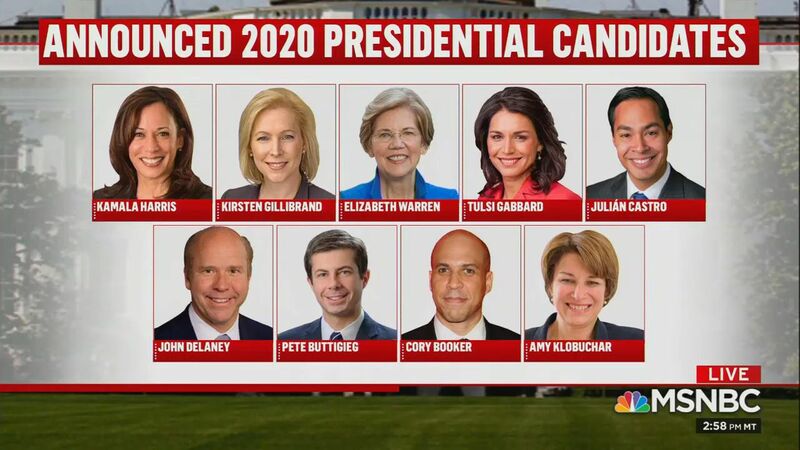 Individual experts are also playing a big role as Democrats’ 2020 candidates look beyond the familiar left-of-center policy framework. Multiple Democrats have sought the counsel of economist Stephanie Kelton, a former aide to Sen. Bernie Sanders, who helped popularize Modern Monetary Theory. A pair of left-leaning economists from the University of California at Berkeley, Emmanuel Saez and Gabriel Zucman, helped Sen. Elizabeth Warren craft her proposed wealth tax. Economists Sandy Darity and Darrick Hamilton consulted on Sen. Cory Booker's "baby bonds" proposal and Sen. Kamala Harris' middle-class tax cut. The old guard — which includes Obama-era stalwarts like the Center for American Progress — is sometimes reacting to big policy ideas, rather than writing them, as the party shifts to the left. Medicare for All, for example, was not born out of a traditional marriage between think-tank white papers and political trial balloons. CAP, which was arguably the most important outside voice on health policy during the Obama administration, released a rival Medicare plan about five months after Sanders. The entire policy debate over Medicare for All still revolves primarily around what people think of Sanders’ bill. Another reason for the changing of the guard: The high-profile progressives leading the leftward shift — including Ocasio-Cortez, Sanders and Warren — are closely identified with specific policies. And they've gotten to that place without going through the Democratic policy establishment. The bottom line: The leaders of the Democratic Party's shift are setting the terms of the debate individually, not plugging into some existing policy apparatus. That’s opening up a lot of room for a new crop of experts and advocates to help them make their case. Alexi McCammond and Stef W. Kight contributed to this story. 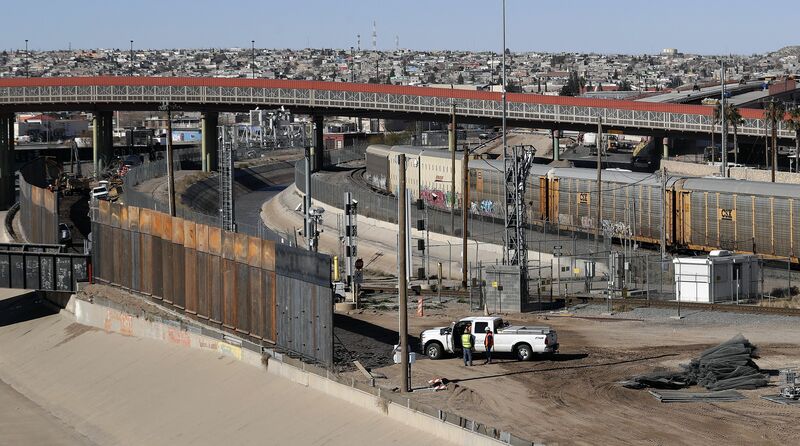 What's new: An evening congressional budget deal includes money for new barrier construction at the border and new screening technologies at entry points, along with humanitarian aid sought by Democrats, AP reports. Why it matters: Republicans were desperate to avoid another shutdown. 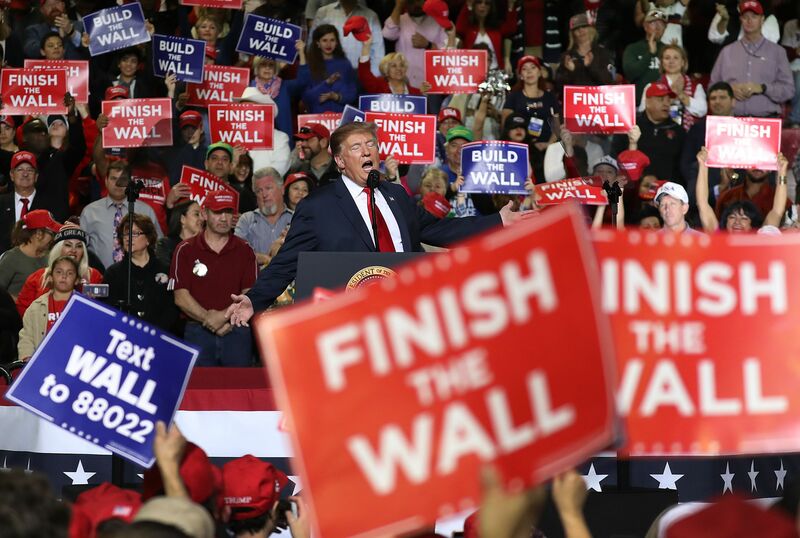 They tentatively agreed to far less money for the border wall than the White House’s $5.7 billion wish list, settling for a figure of nearly $1.4 billion. 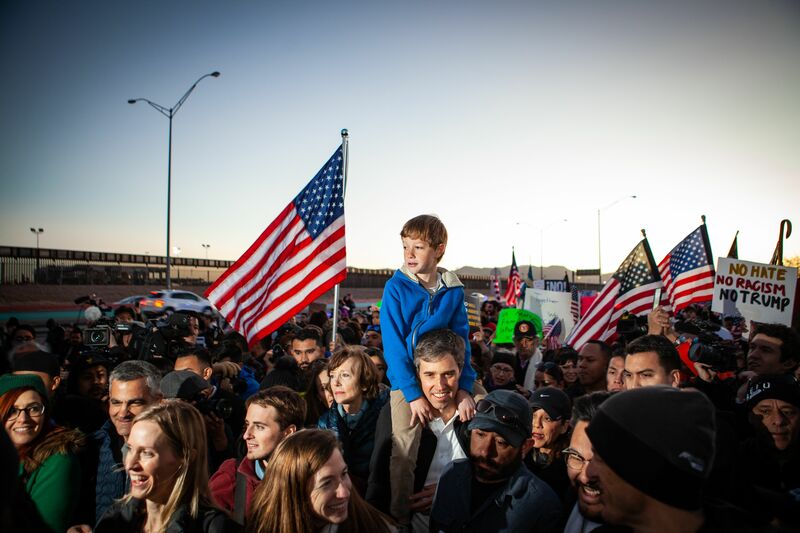 Video: Trump campaign on El Paso ... Beto onstage. 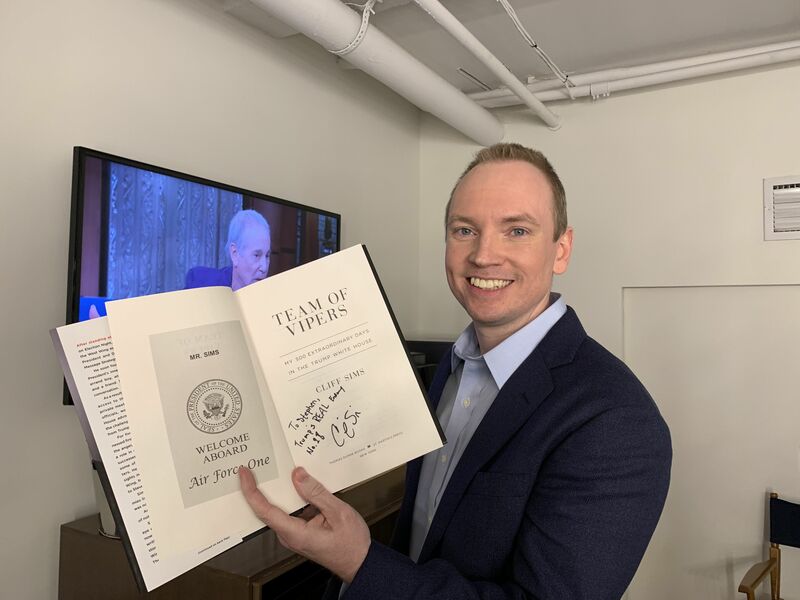 "Cliff Sims, the former White House communications aide who wrote ['Team of Vipers,"] an insider account of life working for President Trump, is suing the president in his official capacity," the N.Y. Times reports. "[T]he campaign organization ... filed an arbitration claim against [Sims] last week, accusing him of violating the nondisclosure agreement he signed with it during the 2016 presidential race." Why it matters: "The White House had dozens of people sign such agreements at the beginning of the president’s term. But those agreements are widely seen as likely unenforceable." Sims alleges that Trump "used his campaign organization as a 'cutout' to improperly seek retribution against former employees and keep them from invoking their First Amendment rights." Be smart: Lawyers have wanted for a long time to test/contest these NDAs. Now they have a high-profile case. "Reluctance to support female candidates is apparent in the language that voters frequently use to describe men and women running for office; in the qualities that voters say they seek; and in the perceived flaws that voters say they are willing or unwilling to overlook in candidates," N.Y Times political reporter Maggie Astor writes. "The influence and impact of these stereotypes and double standards are about to play out in uncharted territory: a presidential race featuring six women running for the Democratic nomination." What's changing: "In 2018 ... many female candidates ran unabashedly as themselves, bucking the public images and political messages that women traditionally adhered to in campaigns." "Trump's 'strong trade actions' are partly responsible for the resumption of work on an advanced plant near Birmingham, the Pittsburgh-based company said ... The administration's tariffs have raised prices on imported steel and aluminum." "U.S. Steel said it ... plans to spend about $215 million, adding about 150 full-time workers. The furnace is expected to begin producing steel in late 2020." "The manufacturer also cited improving market conditions, union support and government incentives." 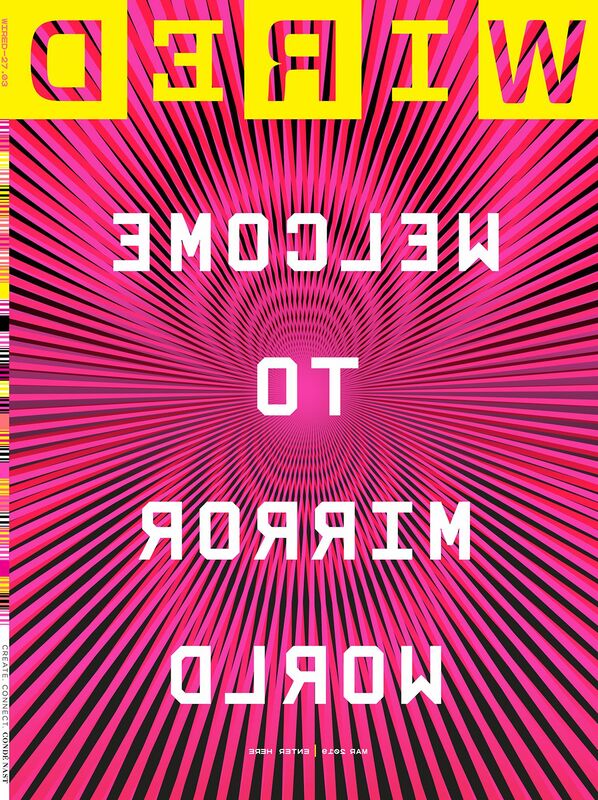 The mirrorworld [a term first popularized by Yale computer scientist David Gelernter] doesn’t yet fully exist, but it is coming. Someday soon, every place and thing in the real world — every street, lamppost, building, and room — will have its full-size digital twin in the mirrorworld. At first, the mirrorworld will appear to us as a high-­resolution strata of information overlaying the real world. ... Eventually we’ll be able to search physical space as we might search a text — "find me all the places where a park bench faces sunrise along a river." 9. 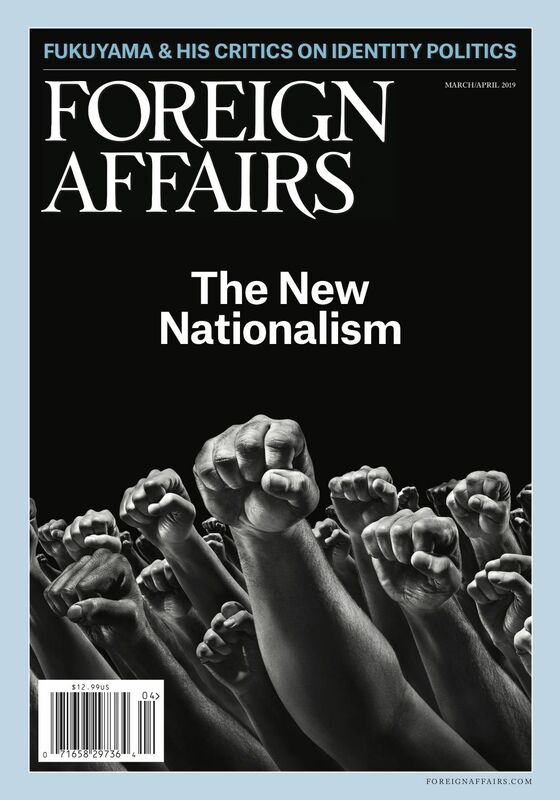 First look: "A New Americanism"
The advocacy of ... nationalism ... drove some of the greatest crimes in history. And so the concept became taboo in polite society, in hopes that it might become taboo in practice, as well. Yet now it has come back with a vengeance. If you're still shopping for Thursday ... Oddball bouquets are getting more love: meaty ones made with bacon and beef jerky ... sour ones with pickles ... and sweet ones with candy, cupcakes and doughnuts, USA Today's Kelly Tyko writes. Bacon Jerky Roses, a $79 gift of a dozen dark-chocolate-dipped, maple-candied roses, are backordered.